Brides don’t miss out on our Special Offers! Good morning to all our beautiful Brides to be! Hope your wedding planning is going smoothly, and if you’re looking for a bargain (who isn’t!) then please check out our suppliers special offers on our directory. * * * SPECIAL OFFERS * * * They are updated daily, and some are only open to our … More Brides don’t miss out on our Special Offers! 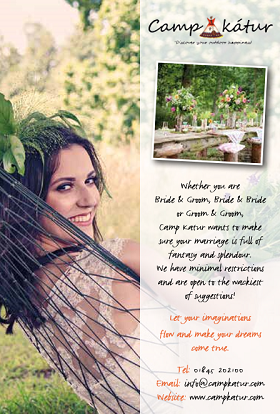 Leave a comment Brides don’t miss out on our Special Offers! This weeks Special Offers from our suppliers They will be organised in Regional areas so you can find the supplier closest to you North West Vickerstaff Photography We would like to offer any ‘Book your wedding’ enquiries with a wedding gift for any album package the DVD of images. This is a total saving of … More Special Offers! This weeks Special Offers from our suppliers They will be organised in Regional areas so you can find the supplier closest to you East of England Liquid Photo Enjoy 10% off your wedding photography for any remaining dates in May & June 2012! Offer subject to our availability and we only have a few dates … More Special Offers! This weeks Special Offers from our suppliers They will be organised in Regional areas so you can find the supplier closest to you Yorkshire & Humberside Alastair Bell Photography If you book your 2012 wedding with Alastair Bell Photography before 01/03/2012 we will knock £100 off the packages (which normally start at £595) AND also … More Special Offers!